Whether you’re climbing toward retirement or have reached that summit, the financial principles that help you attain financial independence will be the same principles that allow you to not outlive your money. I have my grandmother to thank for instilling that notion in me so early on. • One doesn’t need to do anything extraordinary to accumulate wealth over time. One just needs to do some ordinary things extraordinarily well. • Saving ten percent of your income is not remarkable. Doing so over every pay period for 40 years is. • The tougher I am on myself today, the easier life will be on me later. Unfortunately, most people haven’t had someone like my Grandma Ruth to guide them on the money front. Financial failure may not be an option, but apparently plenty of folks haven’t gotten that memo. Historically our schools have not taught anything practical about money. I believe one of the answers to a brighter financial future for our nation is to have financially savvy kids. Schools should teach our kids the lessons of financial responsibility we were never exposed to in K-12 — or even college, for that matter. It is never too early to start learning about money. It amazes me that we teach even our young children how to go out and work for a living, but not about what to do with the money once they’ve earned it. As they get older, they learn about politics, history, and family planning, but never about financial responsibility. Shouldn’t there be a prerequisite course on personal finance before one graduates high school, college, or graduate school? Universities know that the average graduate will make millions of dollars during his or her career and yet there is no required course on the basic principles of money management. Personal finance should be as important as reading, writing, and arithmetic in our schools. It’s time for all of us to get schooled about money, and for us to financially prepare our offspring for their adult lives. If your children’s or grandchildren’s school will not teach these lessons, it is important that we as parents and grandparents do. Our kids should be encouraged to open up savings accounts rather than credit cards. They need to become knowledgeable about personal budgets, investing for their future and compound interest. Grandma Ruth had a profound impact on my life at an early age after learning prudent financial lessons from her. Thanks to her, I decided not to purchase that new car I had dreamed of. Now that I have two teenage children, I realize that I have channeled her financial coaching. This became evident when my daughter, Sophie, turned 16 last year. In what seems like a nanosecond, children go from being precious cargo to being (literally) in the driver’s seat. While most kids would love to get a car with a big red bow on it for their 16th birthday, I believe that may not be in their best interest. As parents, we have a responsibility to teach them how to handle money well, and to start them off with a few financial lessons. Sophie knew she would have to save her own money for a car. I set that expectation at an early age. Her goal was to purchase her very own car on the day of her momentous birthday. When she sets her mind to something, do not get in her way! She began working at Newport Market bagging groceries since the age of 14. She would always greet customers with a smile and offer to take their bags out to their car, often earning tips. I was so proud of her when she not only found the car but wrote a check from her own bank account to purchase a used Subaru Outback without taking a penny from anyone else. Proud does not begin to express how I felt. Saving for a car requires setting a goal and creating a plan to achieve it. By giving your kids the responsibility of saving their own money for their first car, you’re creating the opportunity for them to learn valuable financial lessons that will stay with them for life. The process of my daughter saving for her first car didn’t just teach her about managing money. Recognizing how much time and effort it took to earn and save that much money changed her perspective on how to spend it. Now she asks herself: Do I get that double Hazelnut Mocha Macchiato at Starbucks or save the $4 for car repairs? I often see young adults given brand new vehicles from the time they obtain their driver’s licenses. Is this setting them up for a lifetime of keeping up with the Joneses syndrome? Does it make them feel entitled? I can see the self-confidence in Sophie when she gets into the Outback wagon she purchased with 100 percent of her own money. I hope this lesson will help propel Sophie as well as your children to becoming financially savvy adults. 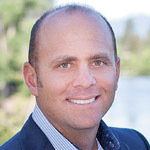 David Rosell is president of Rosell Wealth Management in Bend. He is the author of Failure is Not an Option — Creating Certainty in the Uncertainty of Retirement and Keep Climbing ─ A Millennial’s Guide to Financial Planning. Ask for David’s book at Newport Market, Sintra Restaurant, Bluebird Coffee Shop, Dudley’s Bookshop, Roundabout Books, Sunriver Resort, Amazon.com or Barnes & Noble. Securities offered through Valmark Securities, Inc. Member FINRA, SIPC 130 Springside Drive, Ste 300 Akron, Ohio 44333-2431. 800-765-5201. 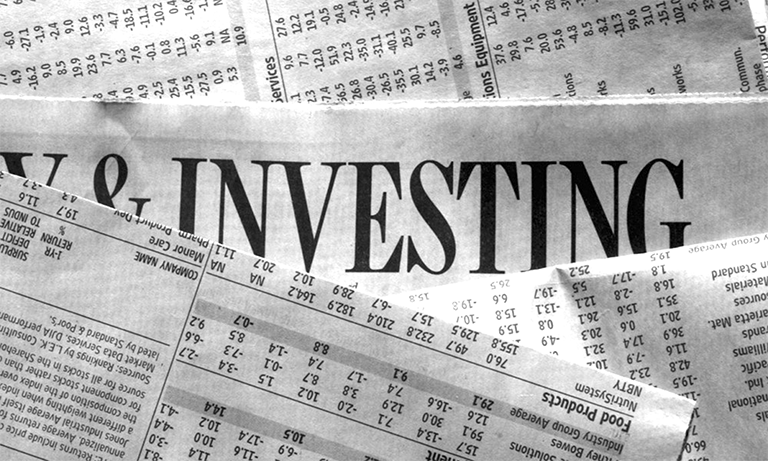 Rosell Wealth Management is a separate entity from Valmark Securities, Inc. and Valmark Advisers, Inc.